and always pay careful attention to the specific requirements of each individual Ensemble. RMS Visual Designs can deliver marching band visual design that is custom tailored to your band size and difficulty level. Every aspect of your custom marching band drill will be personally designed by Robert Strunks. No assistants or ghostwriters are ever used to write. He also works with 2 great designers who provide Custom Horn Line Visuals and Color Guard Choreography for those who need a complete visual design package. The guard, percussion and every other show element are always fully integrated into the designs. Recently, visual design clients often ask that both stationary and movable props of all shapes and sizes be integrated into the show designs. Robert and his team have the ability to utilize props for maximum effect and understand that the props must be used effectively while not diminishing other important elements of the marching band show. Robert focuses on delivering highly effective, cleanable designs at great prices. When writing your show, he pays close attention to the specific requirements of your individual Ensemble. No matter the difficulty level or band size, he delivers the highest quality marching band visual design for your group. Robert listens to his clients and uses a very detailed system which insures his designs meet your exact goals and needs. Each marching band drill has been a fantastic visual representation of the music, very easy to teach and fits my students’ ability level perfectly. Robert provides my band with an incredibly professional and timely service. I can’t wait for my students to learn another marching band show by RMS. 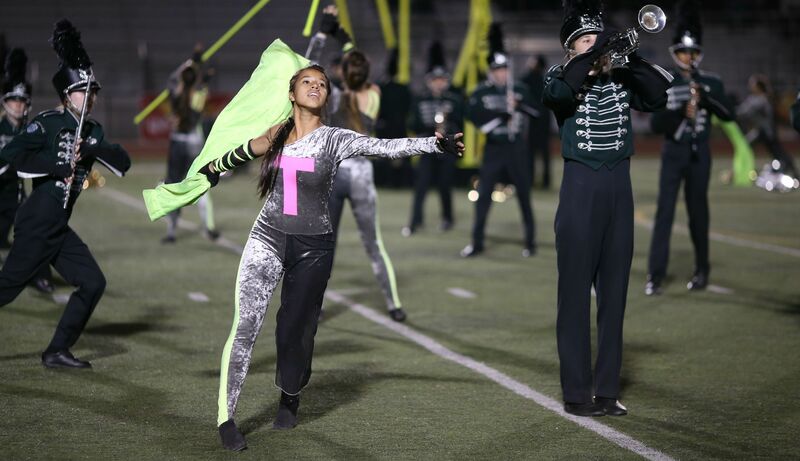 Bands have come to us in search of a designer who can create an award-winning marching band show for their program. RMS Visual Designs has provided multiple groups with custom show designs that have resulted in more than 2,700 Superior Ratings and many High Contest Placements. Several clients have won state and regional contests using his custom marching band shows. Regardless of band size or difficulty level, he can provide an award-winning marching band show for your group. All drills are designed using the latest Pyware 3D software making implementation as easy as ever. We also support the new Ultimate Drill Book app in conjunction with Pyware and will be happy to provide that output as well as the standard PDF charts and coordinates. Your band’s success is always the top priority! Our marching band show designs will bring your vision to life! At RMS Visual Designs, Robert Strunks has enjoyed many years of success for every conceivable concept. Being a former marching band director and judge, Robert knows exactly what you should expect from a marching band visual designer. You need someone who is punctual and professional that can provide you with an affordable, teachable drill that works for your specific situation with on-time delivery. You can choose your marching band show music from any source! Robert can design a great show for any music that you choose! He also offers help in finding the right music for your marching band show. The marching band visual ideas that RMS provides are personally written by Robert Strunks. At RMS Visual Designs, we don’t rely on any outside assistance or ghostwriters for the drills. Robert Strunks will design an original drill for you that will exceed your expectations. He works closely with all of his clients, ensuring your visual and design goals are met. No matter the music, resources, size or difficulty we can guarantee a personally tailored, highly effective show design for your band.